Jinming & International Resin Suppliers Jointly Hold an Open House to Show New Trends in the Packing Industry - China - Jinming Machinery (Guangdong) Co., Ltd. While Jinming was attending Chinaplas 2015 in Guangzhou, it invited industrial customers to participate in a 2-day open house at Jinming’s headquarters from May 22 to 23. More than 200 guests from home and abroad attended the activity. Jinming has partnered with world famous resin suppliers, including ExxonMobil, DOW, Mitsui Chemicals and Kuraray, and demonstrated to customers new techniques, craftsmanship and trends in the packaging industry. 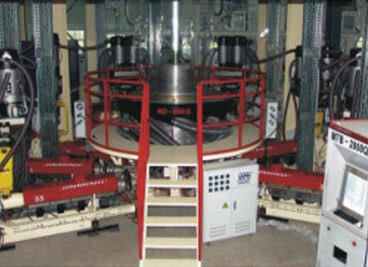 The new packing solutions shown were from base material films to barrier films and goods packing to industrial packing. 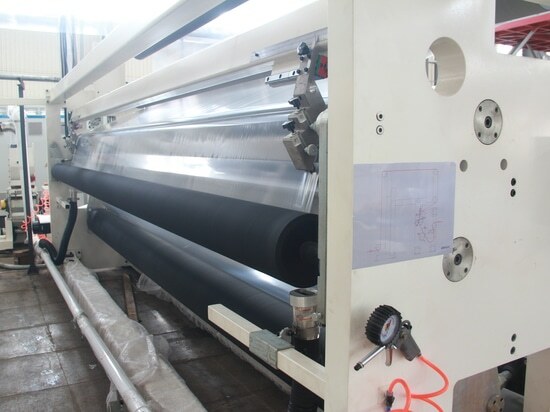 The 5-layer heavy duty packing film, whose stiffness and malleability are superior to 3-layer film, has a yield of 350kg/h per unit, and is attracting customers in the petrochemical, cereals and pet food packaging industries. The 5-layer POD stand-up pouch is providing better transparency and physical performance. 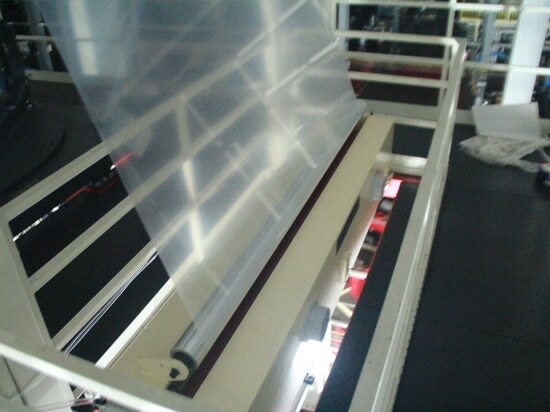 The 5-layer heat shrink film blowing machine gives a high yield. 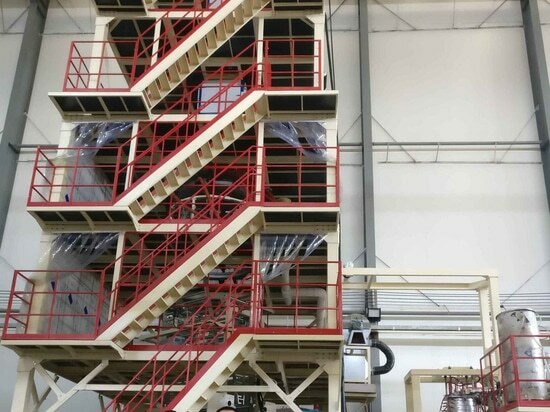 This, as well as, the structure and performance of the films and the cost advantage are appealing to customers and meet the rapidly increasing packing needs of the beverage industry. 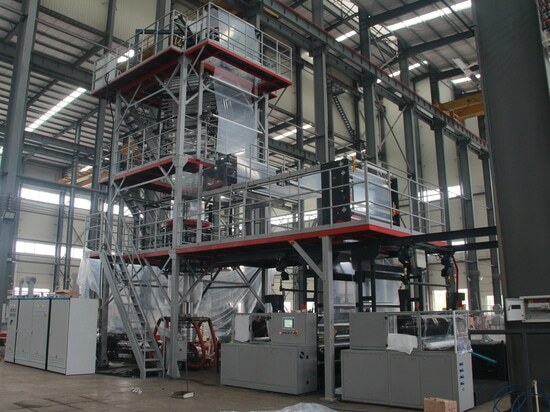 The PVDC high-barrier film blowing machine was displayed for the first time, and the 11-layer high-barrier cast film machine demonstrated various solutions for barrier packaging. The professional Jinming Technology Center, high-speed equipment, technically skillful personnel and high-quality film modeling all impressed the customers. 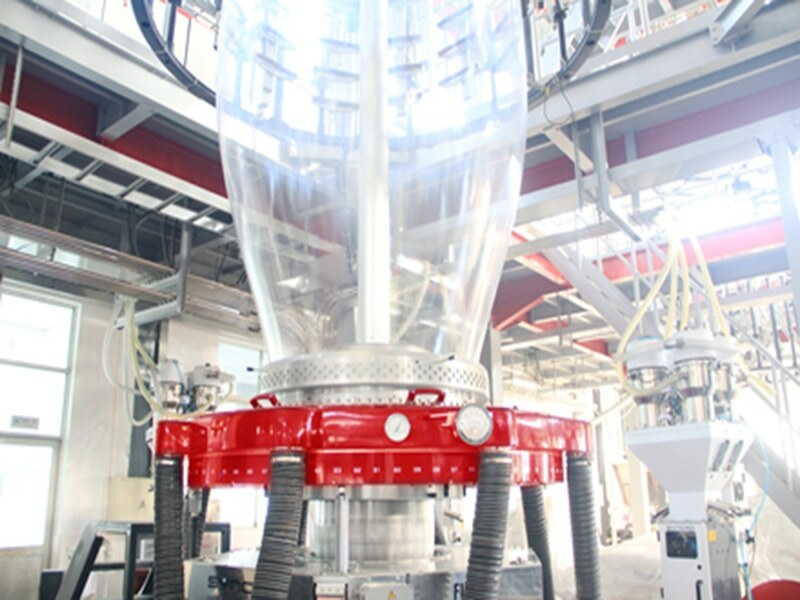 Jinming Technology Center undertakes important missions for technical research and development. The purpose is to integrate various resources in the film industry and help customers overcome and optimize film production equipment and processes. Jinming sincerely invites people from all areas of the industry to jointly conduct technical cooperation through this platform, so as to let China’s national manufacturing industry globalize.